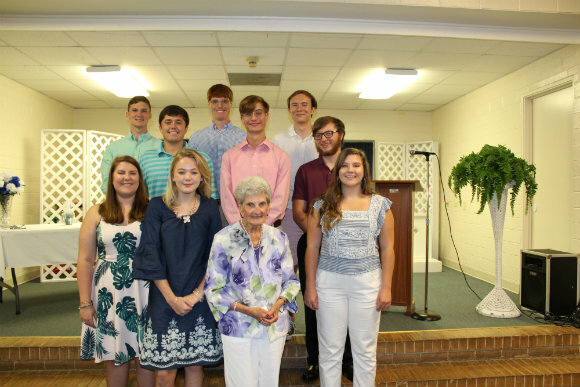 The Martin L. Boyd Memorial Scholarship Fund is a lasting legacy and a great asset to Liberty UMC in Macon. Established in 1999, the Boyd Scholarship Committee is nearing its 20th anniversary. It is a privilege to be a part of this wonderful legacy, and we honor the memory of Martin L. Boyd, who passed away in 1998, and praise God for his foresight and generosity in establishing this scholarship. Mr. Boyd was an entrepreneur who was successful in many business ventures; one being ownership of several Dairy Queen Restaurants in Middle Georgia. His widow, Jean Boyd, provides insight into his character and love for his church. Since 2000, over $177,000 in scholarships have been awarded to 77 students who have gone on to become teachers, pediatric nurses, mechanical engineers, child and family development counselors, English professors, and an endocrinologist. Other students have attended United Methodist seminaries and also majored in such fields as environmental and natural resources, computer science, and cybersecurity.